The regular testing of the performance of metal detection inspection equipment is an essential part of any well-designed quality management system in the food or pharmaceutical industry. Having the correct test pieces available to conduct the testing ensures the performance validation data collected is accurate and consistent supporting regulatory compliance and meeting due to diligence obligations. To assist in this testing process METTLER TOLEDO Safeline can provide a comprehensive range of certifiable test samples. These are available in a selection of materials, sizes and carriers, for use in any metal detection application, including conveyor inspection systems, gravity fall and pipeline systems. Al Thika Packaging is the exclusive distributor of Mettler Toledo in the Middle East. Since 1994 Al Thika has been supplying a wide range of machinery including Garvens dynamic Checkweighing systems, Safeline X-ray inspection, Safeline integrated metal detection systems and CI-Vision product inspection systems for food and non-food industries in Dubai, Abu Dhabi, Sharjah, Fujairah, Ras Al Khaimah, Ajman, Umm Al Quwain, Al Ain – UAE, Saudi Arabia, Bahrain, Oman and the many other Gulf countries. Flexible test sample rod measuring up to 2mm diameter. Colour coded for easy identification, each rod contains a single test sphere. Test sample balls available in diameters of 20mm, 27mm, 40 mm and 48mm. Colour coded for easy identification, each ball contains a single test sphere. Test sample tablets available in diameters of 16mm and 25mm. Colour coded for easy identification, each tablet contains a single test sphere. Test sample rod measuring 10mm x 10mm x 440mm. Colour coded for easy identification, each stick contains a single test sphere. Convenient credit card size test sample card measuring 95mm x 65mm. 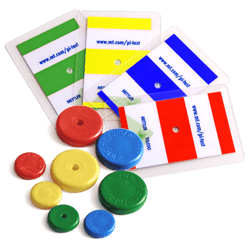 Colour coded for easy identification, each card contains a single test sphere. Ferrite test sample stick measuring 20mm x 20mm x 100mm. For Profile Variable Frequency detector set up purposes. Large size test sample stick measuring 20mm x 20mm x 100mm. Mini test sticks which measure 10mm x 10mm x 100mm. METTLER TOLEDO Safeline test samples enable your business to comply with Hazard Analysis and Critical Control Points (HACCP) requirements and the broader needs of external food safety regulations and standards. 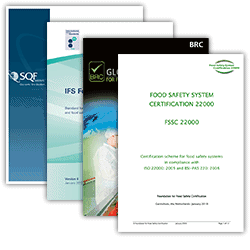 Certified test samples can support compliance with the GFSI standards and external codes of practice including BRC v6, IFS v6, SQF 2000 Code 7.2, FSSC 22000 and Dutch HACCP.